Join Nailaholics #NationalPamperingDay Year 2! I super love Nailaholics and their services and they are now on Year 2 of National Pampering day and giving out tickets to enjoy a FREE manicure, foot spa or Foot massage. The much awaited National Pampering Day is back and giving you a chance to experience a great pampering sesh for free. Before I share how you can score a ticket, let me just share the wonderful experience I had yesterday. 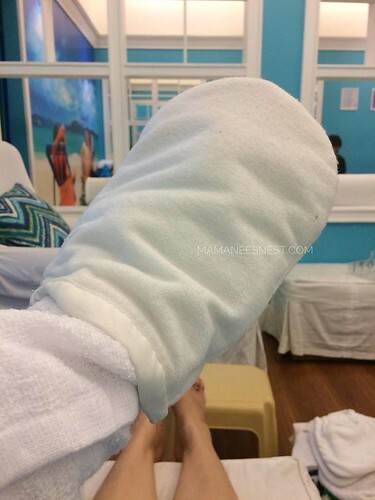 It was my first time to try out the Hand and Paraffin wax and one of my Nail Technicians for the day explained to me the benefits: it improves the blood flow and also a good treatment for tired hands and veins. Totally what I was wanting! My hands are tired from all the keyboard work I do and my hands need rest. The procedure is not rushed so you feel utterly pampered. First step is to soak your hands and feet to soften the cuticles and then go through the regular cleaning. Then now comes the wax. The wax is hot but tolerable and you need to dip your hand up to your wrist while your feet are dipped past your ankles. The nail technicians help you to get your hand and feet covered by pouring the wax over repeatedly. Your hands and feet are then covered with cling wrap, a towel and baby mittens and booties (as Lei, calls them)! The outcome is soft relaxed hands and feet, then nail color is then applied for the final touch. It was a pampering day worth spent at Nailaholics with the help of my dedicated Nail Technicians Lei and Joan of their Gateway Branch. Now, if you want to experience Nailaholics with a Free manicure foot spa or foot massage then follow and like their Facebook page to know where you can claim your tickets and hope you get to join #NationalPamperingDay on October 17, 2017 from 10AM to 1PM at your favorite Nailaholics branch! Hey sis, advanced Happy Birthday! Sobraaaa! Every girl deserves to be pampered! 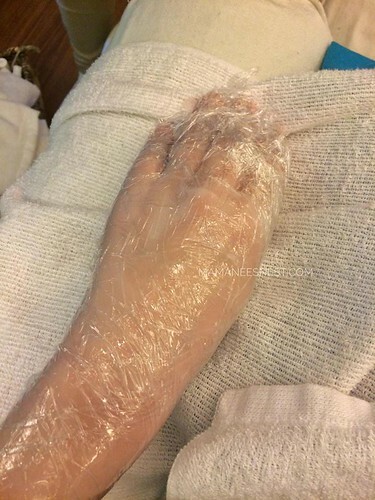 I super love having parafin wax treatment. Its a real treat to my always tired and overworked hands. My hands are so soft and relaxed after. I haven't tried paraffin wax. Your video looks so cool, feeling ko before matigas yung wax pero parang rubber. All branches ba yung promo nila? I've tried hand paraffin 5 years ago pa ata and I'm badly need it now. It's very relaxing and helps in blood circulation at pampaalis ng pasma. 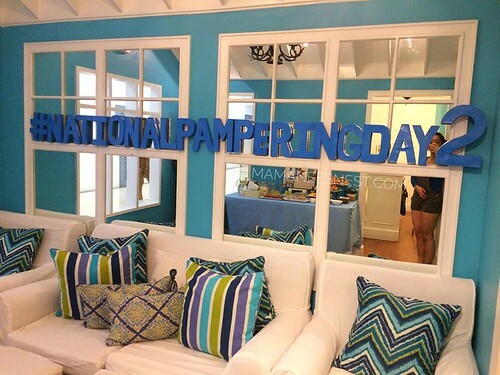 I love how Nailaholics celebrates it's 2nd National Pampering Day. Enjoy ang mga momshies nito. Saving this date! 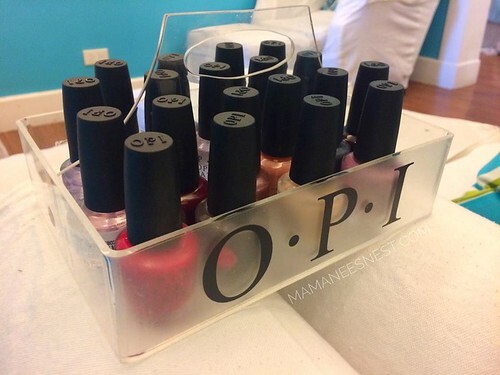 Pampering is always needed by mommies... lalo na kung free :) Thanks for sharing. Every month I went to Salon para mag pa pedicure pero never pa ako nagpapa foot spa. WOW! I agree that mommies like us kailangan din naman bigyan ng time ang sarili,Kudos to you sis. There's a Nailaholics branch at the mall near our place. I hope I can go out on Tuesday to take advantage of the free pampering session. I need it! Haha! I tried paraffin treatment once and I absolutely loved the results. It is probably about time I get another treatment! It has been awhile since I got pampered at the salon, hopefully, I will be able to catch this event in their local branch. 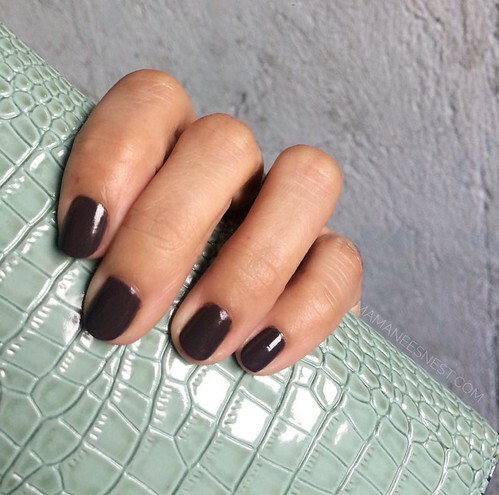 I would love to have my nails painted again, as the several-week's-old nails on my toes are now chipping off! Tried the paraffin and it's so relaxing! The best session I've had. Too bad, wasn't able to go since I have an event that day. Next year nalang.